Honolulu, Hawaii — Russell T. Higa has been appointed director of Human Resources for the Hawaii Health Systems Corporation, Oahu region. Previously, Mr. Higa served as an independent arbitrator and mediator in labor disputes involving public sector employers and unions. 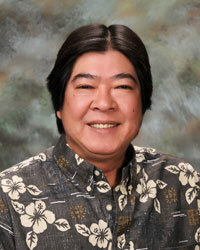 Mr. Higa will oversee the human resource operations of the two HHSC Oahu facilities — Leahi Hospital and Maluhia. He is responsible for the planning and implementation of the overall human resources functions, including the administration of salaries, benefits, recruitment, orientation, staff development and training. Mr. Higa has served as arbitration panel chair in numerous binding-interest-arbitration proceedings involving public sector employees (registered professional nurses, police officers, adult correctional officers, licensed practical nurses, paramedics). He has been on the list of arbitrators, mediators, and fact-finders maintained by the Hawaii Labor Relations Board, as well as a list of performance judges maintained by the State of Hawaii and the Hawaii Government Employees Association. Mr. Higa has also served as an in-house general counsel for the State of Hawaii Organization of Police Officers, a solo practitioner, and a deputy attorney general for the State of Hawaii.